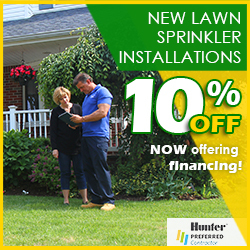 It has been more than three decades since Pacific Lawn Sprinklers first began servicing Huntington, Huntington Station, and Dix Hills. Each and every branded "Bright Yellow" service vehicle in your neighborhood represents Pacific's dedication to delivering exceptional service. 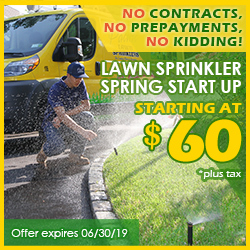 Pacific Lawn Sprinklers proudly provides the local installation of lawn irrigation systems, as well as irrigation maintenance (such as winterization or spring start-up), upgrades, and lawn sprinkler repairs. A friendly uniform service technician will confidently evaluate your automatic lawn sprinkler system to ensure efficiency, functionality, and most of all - your happiness. 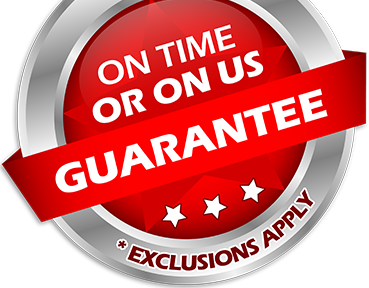 That is why each appointment is backed by a 100% CUSTOMER SATISFACTION GUARANTEE and an exclusive “ON TIME OR ON US GUARANTEE!”. Along with Pacific's irrigation services, the Pacific Lights division is well versed in LED landscape lighting design, service, and installation Along with Holiday decorating and Christmas Lighting installations. 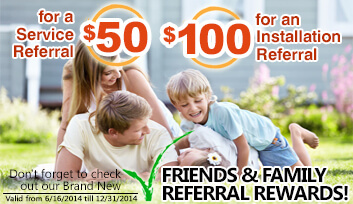 Call today - Pacific is at your service! Being located on the northern outskirts of both the Northern State Parkway and the LIE (Long Island Expressway) makes Huntington, Huntington Station and Dix Hills a popular and ideal area for both recreational activities and a great place to raise a family. Whether enjoying a day in Heckscher State Park, shopping at The Walt Whitman Mall, or going out to dinner on Main Street, this area offers top-level attractions. Pacific will take care of your lawn irrigation system and LED landscape lighting system so you can have more time to enjoy the town of Huntington, Huntington Station and Dix Hills! So if you are in need of an automatic lawn irrigation system, LED landscape lighting system, basement waterproofing or festive holiday lighting - Pacific Lawn Sprinklers is only a call away.